An 0-3 start at home has been offset with five consecutive road victories by the Boston Bruins, the latest a 3-1 contest against the Tampa Bay Lightning to push the team’s overall record to 6-3-1 in the 2015-16 season’s first 10 games. The B’s got goals from Matt Beleskey, Brett Connolly and Brad Marchand (an empty-netter) to earn two more points and move into second place in the Atlantic Division behind the Montreal Canadiens. They fell behind to the home team when Nikita Kucherov took a nifty cross-ice pass from Vladislav Namestnikov and buried a high twine tickler to make it 1-0 on a power play tally after Ryan Spooner was sent off for hooking. Beleskey got it back later in the period when he converted a rebound of a Colin Miller shot that squirted out to him in the slot. While on one knee, Beleskey fought off a Tampa defender to spin and put the puck past Tampa goaltender Ben Bishop low to the blocker side after it appeared that the shot changed direction. Jimmy Hayes started the play when he won a footrace to the puck behind the net and threw it out to the point where Miller was able to gather it in and put it back on net. The teams battled to a second 20 minutes of scoreless hockey before the B’s took the lead in the third period with another power play goal to extend the league’s best unit with the man advantage. Connolly was positioned out to the left of the net and took a hot Marchand pass, then took an extra second to locate Bishop and fire a high shot over the sprawling goalie for his fourth tally of the season (in his last five games to boot). It was another goal scorer’s strike from Connolly, who appeared extra motivated to score what stood up as the winning goal against his former club. Bruins backup Jonas Gustavsson played well, giving up the lone goal in the first period. Although he doesn’t always appear to be in control or in position, he’s a perfect 3-0 in his starts this season and is giving Claude Julien and the Bruins coaches the kind of confidence they need to balance out Tuukka Rask’s workload. David Krejci’s 9-game point streak ended tonight, but you won’t hear any complaints from him, as his team continues to roll with a 6-0-1 record in its last seven games. If not for the third period meltdown against Philly at home, they’d have a seven-game string of perfection. 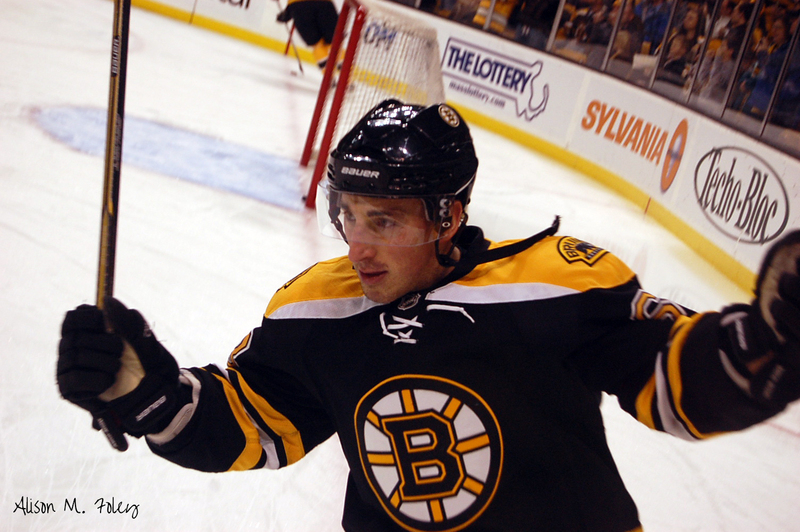 Brad Marchand- He was not suspended for his hit from behind on Florida’s Dmitri Kulikov, and it was a good thing, as he was Boston’s top forward, playing with his trademark energy and pace. In addition to his quality assist and ENG, Marchand drew a penalty when he exploded on a breakaway, which probably should have been a penalty shot. This is the best stretch of hockey Marchand has probably played since the final two series of the 2011 Stanley Cup playoffs. Brett Connolly- Another game, another snipe. Bruins fans are starting to see why the Lightning drafted him so early in 2010, and why it took a pair of second rounders to pry him away from Steve Yzerman last February. At this rate, that price is starting to look like a bargain, and Connolly’s one-year, $1 million “prove it” deal with the B’s might result in a nice payday for him next summer if he keeps it up. Ever since moving onto a line with Patrice Bergeron and Loui Eriksson, the former WHL scoring star has been money. Jonas Gustavsson- For people who like technically sound goalies, the Monster is going to fire up the nerves, but the veteran Swede is a perfect 3-0 and somehow makes the big saves when he needs to. Right now, he’s healthy and playing well- doing exactly what a top backup does, and his team has played well in front of him in his three starts. 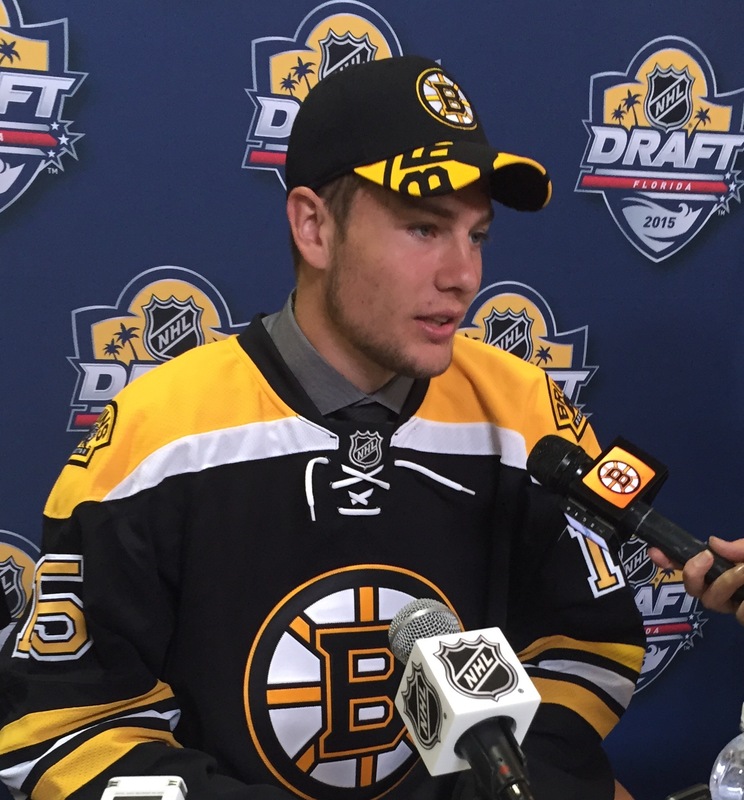 With all due respect to Jeremy Smith, the Bruins made the right call in signing ‘Gus’ and going with him. Loui Eriksson- Another game, another superb three-zone effort from Eriksson. At this point, he’s Boston’s unsung hero as a winger who is bringing a lot more to the table than his scoring totals reflect. He’s forcing turnovers, creating scoring chances and making good defensive plays. His production won’t even begin to touch the player the B’s traded for him, but having him, Joe Morrow and Jimmy Hayes (acquired for Reilly Smith) takes a little of the sting out, as the trio is contributing a lot to Boston’s fortunes right now. Adam McQuaid- This was a gritty, vintage McQuaid night, as he was blocking shots and making Tampa forwards pay for every inch of real estate in the Boston zone. Some won’t ever get past his cap hit, but when it comes to a shutdown defender who just goes out and does his job effectively, he’s getting it done. Torey Krug- In retrospect he’s making anyone who doubted that he could play top minutes and a key role on defense foolish. Night in and night out, he’s one of Boston’s most valuable players, making plays at both ends of the ice and doing his part to get the puck out of his zone and up the ice. Tonight, he made a memorable defensive play while the Bruins were on the PP and allowed an odd-man rush the other way. He burned back on the rush, made a textbook defensive play to deny the pass and shot, then got off the ice because he expended every bit of energy to ensure the Lightning did not capitalize. Krug is here to stay and he’ll be worth every penny of that extension he’ll sign sometime after January. Matt Beleskey- He scored a huge goal by doing the grunt work and that’s how most of his offense will come this year. He plays hard and is an opportunistic forward- he’s got to be feeling good about his decision to sign with Boston given the way the team has turned things around. Anaheim will get better too, but for now, he’s certainly not sitting around questioning why he made the decision not to accept the team’s offer to keep him in Southern California. Nikita Kucherov- His goal was pretty much a layup, but man- this guy has a world of skill. The ‘Bolts are struggling with the offense right now, but you can bet that they’ll break out at some point and when they do, Steven Stamkos and Kucherov will likely be leading the charge. With his speed and hands, the best years are yet to come for this diamond-in-the-rough find by the Tampa scouts. 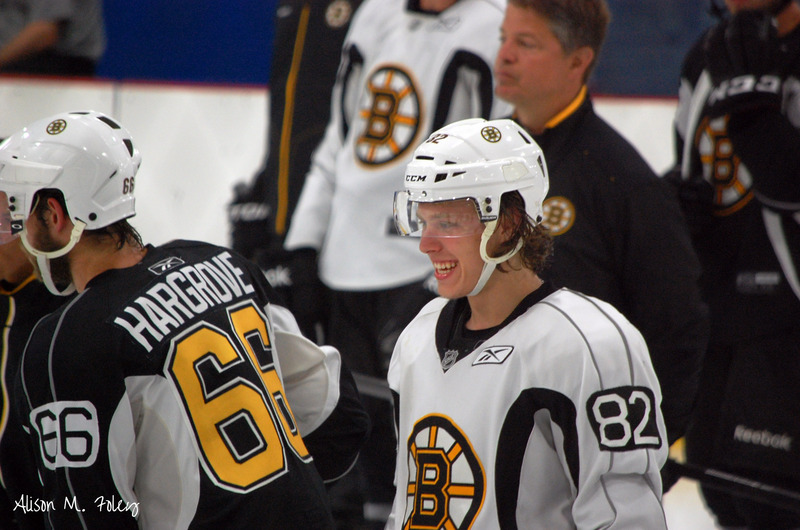 David Pastrnak- He’s 19- there will be bumps in the road and tonight was one of them. He might be suffering the effects of a lower body injury suffered last night in Sunrise, but he was not effective tonight and only saw some three shifts in the final two periods. On the one hand- you don’t want to make too much of the struggles he’s bound to have as he continues to grow and develop at the very highest level, but at the same time- it’s a good message to by Julien to the youngster that when he’s not effective, he’s going to take a seat on the bench. Tyler Johnson- Did not see a great deal from one of Tampa’s breakout players from a year ago. Yes, he’s banged up right now, but he did not display that dangerous element that he’s so capable of much at all. He’s the straw that stirs the drink on that “Triplets” line of Kucherov and Ondrej Palat, and he’s mired in a tough slump. Kudos to the Bruins for giving their season a good, honest effort. Their fans are pretty consistent- they can handle losing, especially when they know their team lacks the pure talent to hang with the NHL’s powers, but the losing has to be accompanied with an effort. This B’s club played hard even with the tough three losses to open the year but they’ve been a gritty, opportunistic bunch since. It’s still going to be a dogfight to get into the playoffs come April, but like the 2007-08 Bruins demonstrated- the effort can compensate for quite a bit. And credit Julien and his staff for getting the players to compete. He’s not just coaching like a guy on the hot seat- he’s trying different things and has these guys believing in themselves with a power play that encourages a lot of puck movement and a willingness to take chances. So far, the pucks are ending up in the net and the wins are coming with regularity. There are 72 games left on the schedule, but if you had told us in August that this club would begin the year with a 6-3-1 record, most would take that and smile. The Boston Bruins balanced out their home winless record with a perfect standing in road games, beating the New York Islanders Friday night by a 5-3 score (including a late meaningless goal by Thomas Hickey) to collect their third win and a 3-3-1 record overall. Joonas Kemppainen scored his first career NHL goal and the B’s got tallies from four other players- Brett Connolly, David Pastrnak, Ryan Spooner and David Krejci- plus some solid if unspectacular play in net from backup Jonas Gustavsson. It was also a strong game from the Boston defense, who played well on the whole as a unit, limiting mistakes and making the defensive plays that they needed to preserve the win. Boston took the lead on Connolly’s second marker of the season, a scorer’s play that he made as he put on a burst after Brad Marchand put the puck out front from the corner and Connolly zipped past Islanders captain John Tavares in the slot to wire the shot into the net past a surprised Jaroslav Halak. The lead didn’t hold for long as Marchand was sent off for a hooking call and Justin Bailey converted a rebound to tie the score at 1 goal apiece on the power play. 1:19 later, former Bruin defender and enduring fan favorite Johnny Boychuk (playing career game 400, btw) beat the Boston forward to the puck along the right wall and threw a shot on net that Casey Cizikas redirected into the net past Gustavsson. Ryan Spooner was defending him but allowed the Isles’ fourth line center and top defensive forward to gain body position as he cut to the net for his first goal of the year to make it 2-1. Boston battled back in the second frame after Claude Julien shook up the lines and put Spooner on the bottom unit with Kemppainen and Tyler Randell. The move paid dividends as Kemppainen, who had been mediocre up until the midway point of the second period, made a sharp play to force a turnover on an attempted Islanders breakout, getting the puck over to Spooner. The skilled center tried to get a shot on net, but the puck hit a defender and bounced right to Kemppainen who was alone in the slot and fired a short-side shot that slipped past Halak to even the score. Pastrnak later gave Boston the lead back with a tremendous play to corral a Loui Eriksson pass in his skates, kick the puck to his stick, then rifle a bullet shot into the twine for his second goal of the season. Spooner would score to make it 4-2 in the third when he and Kemppainen did good forechecking work to force a turnover. As Spooner took the puck to the net, he tried a return pass to the Finn, but his attempted feed hit an Islander skate and skittered into the open side. Krejci put a shot into the empty net to put the game out of reach and extend his streak of points in every game thus far with his fifth goal and 12th point. Zdeno Chara- The Boston captain played his 1,200th career NHL game against the team that drafted him in 1996. He’s well past his prime, but even so- he played with snarl and toughness tonight, going off late in the second period when he absorbed a hit by Matt Martin but then got elbowed by Cal Clutterbuck, who flew in on the backside and knocked his helmet off. When he plays like that, Chara inspires his young, but hard-working team to dig down a little deeper and stand a little taller in the face of adversity. He’s had a tremendous career and will one day reside in the Hockey Hall of Fame when all is said and done. Joonas Kemppainen- Right after I tweeted about him being too soft on the puck, he finished a check in the offensive zone, then stripped the Isles of the puck, putting Spooner’s deflection home a couple of ticks later. He added an assist for good measure, getting his first NHL points and playing a more energetic, inspired game alongside Spooner. Loui Eriksson- At times his skating looks labored, but he’s such a smart player who manages to be in the thick of the action. He tallied a couple of helpers tonight, but it was his solid 200-foot game that caught my eye for much of the night. He was strong on pucks, made good decisions with and without the puck and showed why he’s a savvy veteran and the second highest scoring (to Patrice Bergeron) player from the 2003 NHL draft’s second round. 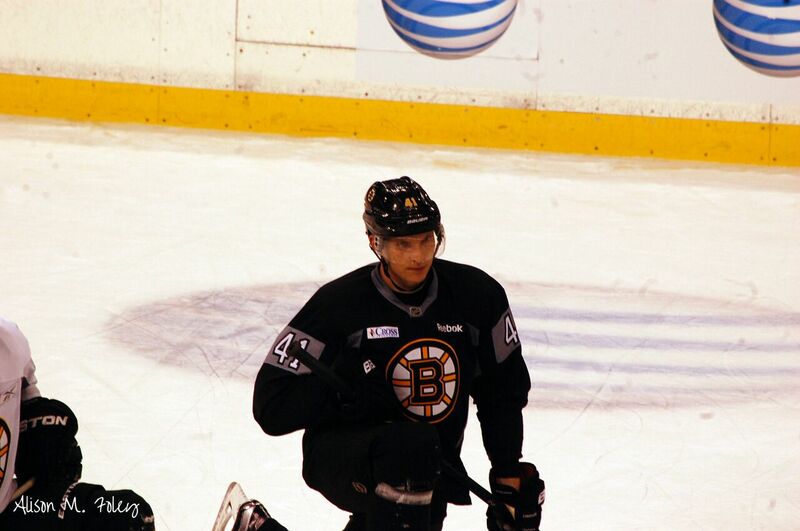 David Krejci- He only had the empty-net goal to show for what was a solid performance from Boston’s leading scorer. He was particularly effective in puck support tonight and made some nifty plays that didn’t result in goals but reminded everyone that he’s on pace for a career-best year. Adam McQuaid- Strong game from Darth Quaider. He fought Matt Martin in the opening period after the Isles took the lead, and played capable defense. On one memorable play in the second period, he was a step behind the Islander forward, but stayed with him and broke up the rush/prevented the shot. He also assisted on Krejci’s empty-netter. Ryan Spooner- He belongs in both Up and Down sections in this one…his play in the first period was not encouraging, but after Julien demoted him, the 23-year-old pivot got some home cooking going with Kemppainen. Up until tonight, his 5v5 play had been a major bone of contention in the early going of the new season, but he salvaged that a bit in the final 40 minutes by taking pucks to the net and being rewarded with a goal and helper. Brett Connolly- What a snipe. He used his speed and hockey sense to score his second goal of the year. If there is more where that came from, he’s on the way to justifying the deal Peter Chiarelli made for him by surrendering a pair of second-round picks. Jonas Gustavsson- He gave up three goals tonight, but was superb in the second by not allowing any of New York’s shots to get by him, opening the door for Boston to re-take the lead. He’s a bit scrambly at times, leaving fat rebounds and is an adventure when he roams from his crease to play the puck, but in two wins, both on the road, he’s done what his team has asked of him. Spooner- Dropped from the third line, needs to bring more to the table at even strength or he could find himself doing more than just going down to the fourth line. 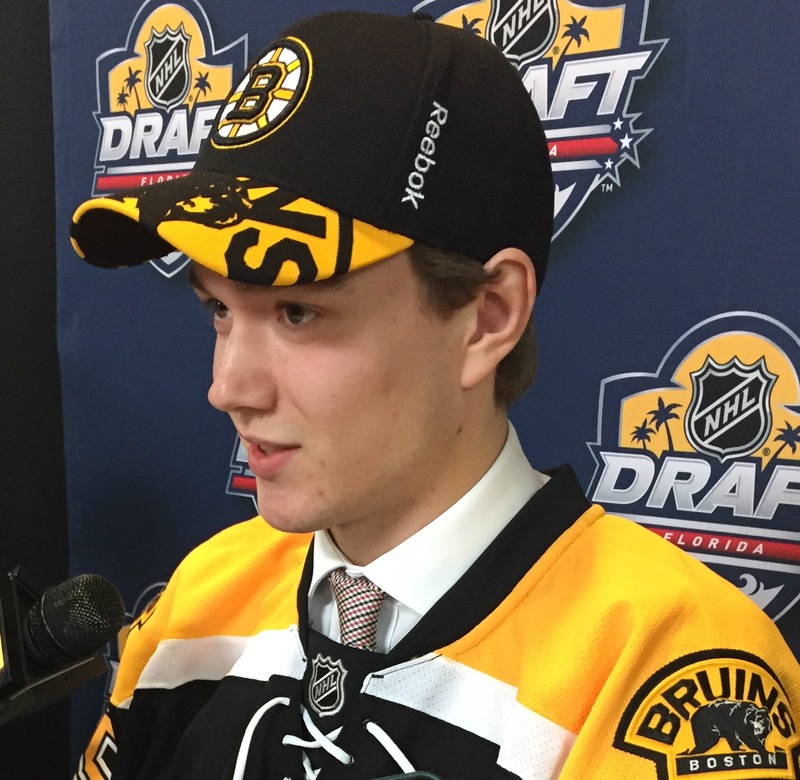 With Alex Khokhlachev heating up in Providence, I wouldn’t put it past the Bruins to do some message sending. Thing is- he’s such a skilled and talented player- we saw what he’s capable of last season. That’s the Spooner the Bruins need back. Brad Marchand- His lazy, undisciplined hooking penalty in the first period cost the Bruins a power play goal against. He’s got to do a better job than just putting his stick in the hands of an opponent rather than move his feet to force a turnover, especially with how fast a skater he is. He gets credit for working the puck to the front of the net on the Connolly goal, but his penalty was unacceptable in that situation and he’s got to learn from that. Seven games in, and it looks like this is going to be an up-and-down season for this team. There are some things to be encouraged about on the defense- Torey Krug continues to log a lot of ice time and play well in all situations even if he’s snakebit and still looking for his first goal. Colin Miller and Joe Morrow are noticeable in their ability to skate pucks out of danger and make the crisp outlets. We also have to live with the inevitable mistakes they’ll make, but the raw material is there. The B’s are a better team on the road right now than at home, but they’ll take it- it beats being poor at home AND in the role of visitors. Captain Claude Giroux’s power play goal in overtime, his second of the game, gave the Boston Bruins their fourth loss at home this season in as many tries as the Philadelphia Flyers defeated them by a 5-4 score in sudden death. Bruins and Flyers met at the TD Garden in NBCSN’s much-ballyhooed “Rivalry Night”, and although the B’s overcame a sluggish start and 1-0 and 2-1 deficits to gain a 4-2 advantage, quick third period goals by Flyers big guns Giroux and Wayne Simmonds evened the score with 8:39 left in regulation to set up the 3-on-3 overtime period. The B’s once again got solid production from its special teams in the form of both power play and shorthanded goals (the second such shortie in as many games) from Patrice Bergeron and Chris Kelly respectively. The Flyers struck first with a goal from Paris, France-born Pierre-Edouard Bellemare, who put in his own rebound after boxing out Joonas Kemppainen and getting to the puck when Tuukka Rask was unable to close his glove on the initial shot. Boston evened the score with Brett Connolly’s first goal as a Bruin dating back to his acquisition at last February’s trade deadline. He swooped in and converted a Bergeron rebound after Giroux failed to pick him up, firing the puck into the net past starter Michal Neuvirth. The Flyers re-took the lead right after that when Sam Gagner capitalized on a bad line change by Boston to gain some extra time and space and beat Rask with a shot to make it 2-1 on his second goal of the season. Boston tied it up when Bergeron batted a puck out of mid-air with the man advantage late in the opening frame. The NHL’s most lethal power play unit moved the puck with authority in the offensive zone and when Loui Eriksson worked the puck to the front of the net, David Krejci’s initial shot bounced up in the air with Bergeron right at the top of the paint to knock it in. Neuwirth slumped over after that play, which was a harbinger of things to come. As the opening frame ended, Zac Rinaldo reminded everyone of the controversy that surrounded his summer acquisition (for a 2017 third-round pick) when he hit Sean Couturier hard at the buzzer, knocking the big center out of the game. At speed, the play looked like a head shot, but when slowed down, it appeared that Rinaldo went shoulder to chest, but Couturier had his head down, appearing to brace for backside checking pressure coming from Adam McQuaid. When Rinaldo ran him, his head snapped back and Couturier went down hard. Rinaldo was assessed a 5-minute charging match penalty (game misconduct) that will likely draw some form of supplemental discipline given Rinaldo’s history. The hit looked dirty, but the unfortunate outcome was that the Flyers player was lost for the remainder of the contest. When the second period started, Neuvirth was out of the crease and not present on the bench with an undisclosed injury, giving way to Steve Mason. While the Flyers were on the Rinaldo power play, the B’s rubbed some salt in the wounds on a breakout, with Eriksson throwing the puck to the Philly net with Chris Kelly driving straight in at Mason. The shot hit Kelly’s skate and deflected in the net to make it a 3-2 score. Boston added to the lead when Jimmy Hayes broke in on the right side and threw a shot at the Flyers net from a sharp angle that somehow snuck over the goal line past Mason to make it 4-2. Boston was cruising near the halfway mark of the final frame when Colin Miller found David Pastrnak all alone in the high slot with a yawning net to hit, but somehow, Mason got his glove hand across to deny the young B what looked like a surefire goal. The NHL reviewed it, but the call on the ice of no goal stood, leaving the score at 4-2. That opened the door for Philly’s quick strikes to tie the game and eventually force overtime, especially after the B’s did not register a single shot on Mason in the final 12 minutes and change of regulation. Ryan Spooner took a hooking call after Michael Del Zotto all but grabbed onto Spooner’s stick while hurling himself to the ice in spectacular fashion, but it worked to perfection. The Flyers went on the 4-on-3 man advantage with Bergeron-Zdeno Chara-MQuaid unable to clear the zone before the puck worked over Giroux for the one-timer that found the back of the net past Rask. Patrice Bergeron- On the day his first child, a son named Zack was born to him and wife Stephanie, Bergeron assisted on the Connolly goal and added one of his own. As Globe scribe Amalie Benjamin said- assist, goal and baby- thats got to be some kind of newfangled trick for the new dad, who couldn’t quite pull out the win for his boy. Brett Connolly- For the former Lightning high-end prospect, this goal was a long time coming and he didn’t miss. He also displayed speed and quickness throughout the game, though that was all he was able to generate on the score sheet. If Connolly could put it all together, the B’s will benefit and for now- finding the back of the net is a good start for him. Chris Kelly- He got one shorthanded goal and was instrumental on the Hayes tally with a hustling back check to diffuse a Philadelphia scoring chance then transition the play back the other way. The savvy veteran is contributing this season with his typical three-zone effectiveness while also adding some early production. Zac Rinaldo- C’mon, man. All that talk of turning over a new leaf…it doesn’t matter if the hit was technically shoulder-to-chest contact- it was unnecessary as Couturier did not have the puck and was looking away from Rinaldo as he came in. Fair or not- Rinaldo is not going to get the benefit of the doubt on plays like that, and so he’s getting hammered in the court of public opinion right now, especially since Couturier is out with what is believed to be a concussion. Not smart, but a lot of critics said this was coming and it only took six games. C’mon man. Tuukka Rask- At some point, you have to quit making excuses for the guy. He’s off, and this was a game the Bruins played well enough to win, save for the fact that they didn’t get some key stops from him when they needed it. Even if you allow for the fact that Kevan Miller’s turnover behind the net leading to the first Giroux strike was not on him, he was off the angle on the Simmonds goal and simply isn’t playing like the All-Star caliber goalie the B’s need him to be. It’s not Bobrovskian on the scale of disappointments in the early season, but the Bruins and their fans have a right to expect a whole lot more than what Rask is giving them right now. David Pastrnak- Love the kid’s talent and enthusiasm, but the turnovers continue and when he had a glittering chance to put the game away, he wasn’t able to, opening the door for the Flyers comeback. You have to grit your teeth and live with the mistakes given how hard he works and how well intentioned he is, but he’s hurting the team and needs to simplify/try to find a balance between the high-risk decisions he’s making and the natural ability we all know he has to score points in this league. Joonas Kemppainen- At this point, I’ve seen enough. He’s soft on the puck, not assertive enough, appears to be a step behind when it matters. Most of the time he looks like he’s in the right spots but is just not making plays. I have to think Max Talbot would give you more effective all-around play on the bottom line than this guy will at this stage. Kevan Miller- He’s got to be better in his own end. His aborted attempt to reverse the puck led to the goal that pulled Philly back into it, and when you’re a fringe d-man, you can’t afford those kinds of mistakes. Miller is one tough nut and a rugged customer, but he doesn’t have enough in the way of talent to get by when he makes gaffes out of what should be a routine exchange. Tighten up. Ryan Spooner- Great on the power play, but not getting it done at even strength where the advanced stats are exposing him down near the bottom of the league in puck possession. The penalty he took in OT won’t help his case either, but in his defense, Del Zotto sold that like a Sotheby’s auctioneer. Tough loss in a game the Bruins really had on their plate to win. It won’t get any easier when they travel to Brooklyn to face the Islanders on Friday, but play away from the TD Garden has offset their poor performance at home, so we’ll see.